The human foot has 26 bones, 33 joints, 107 ligaments, 19 muscles and tendons. That’s 52 bones in your feet, which make up about 25 percent of all the bones in your body. Since a quarter of all the bones in the human body are down in your feet, when a great deal of force, weight and pressure are placed on them, your chance of injury increases. 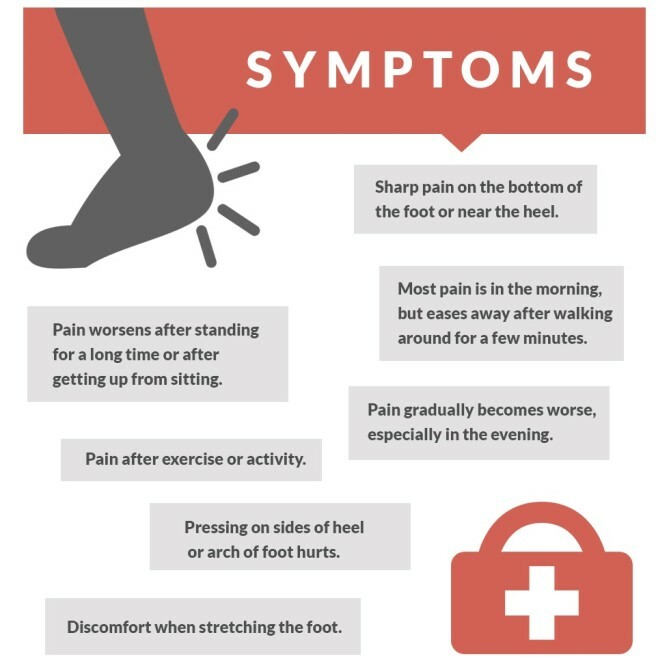 In fact, the American Podiatric Medical Association (APMA) conducted a study that revealed 77 percent of Americans (18 and up) suffer from foot pain. Approximately 2 million people in the United States will suffer from Plantar Fasciitis, one of the most common foot pains. • About 83 percent of active adults, ages 25 to 65, will experience plantars. • Ten percent of runners will suffer from it. • Fourteen percent reported improved symptoms simply from changing their shoes. • Plantar fasciitis is an inflammation of the plantar fascia. It connects the plantar tendon to either the heel bone or to the base of the toes. • It feels like you have a lump in your sock, at first. It doesn’t necessarily hurt, but it’s uncomfortable. Then the pain starts to linger, and you feel more pain in the heel. This is the first sign of plantars and can be prevented. • If left untreated, it may become a chronic condition—you may experience pain in your foot, knee, hip and back because plantar fasciitis can change the way you walk. • Chronic plantar fasciitis is the most common foot complaint, affecting about10 percent of the population and accounting for more than 1 million doctor visits annually. • The pain usually occurs in the morning (first steps out of bed), after a long period of sitting and in the evening. • People with very flat feet or very high arches also are more prone to plantar fasciitis. • Females, those who are overweight or have a job that requires a lot of walking or standing are more prone to plantar fasciitis. • Tight calf muscles may cause Plantar Fasciitis. • Foot arch issues such as high arches or flat foot can also increase your risk of arthritis, as can poor footwear. Arthritis can also cause plantar fasciitis. To treat plantar fasciitis, practice PRICE (Protect, Rest, Ice, Compress, Elevate). Start home stretches and exercises that can speed up recovery and prevent re-injury. Consider buying a foot brace for plantar fasciitis such as the Aircast Airheel, which provides compression. It’s also a good idea to use a night splint, like the Aircast Dorsal Night Splint. Learn about how the Aircast Airheel works for plantar fasciitis. It’s always important to speak with your doctor for proper diagnosis and treatment.